The piping hot, steaming Champagne Pool always attracts visitors to Wai-o-tapu in Rotorua, North Island, New Zealand. 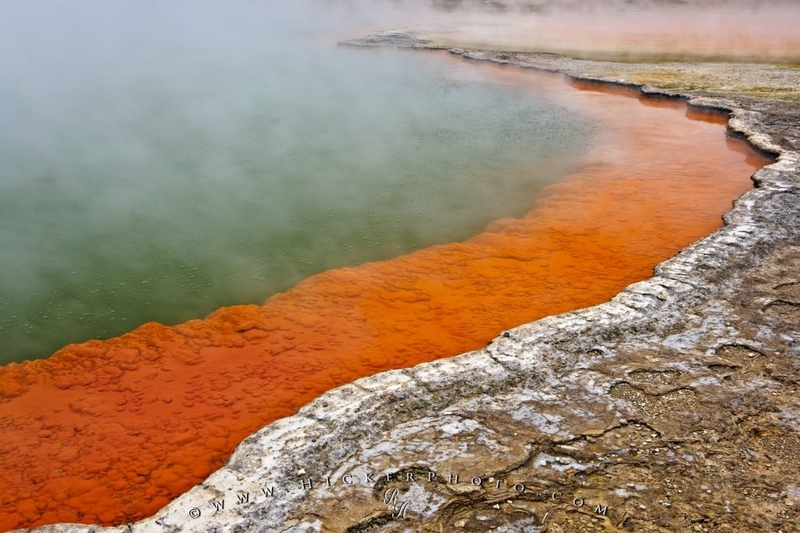 Colourful edges of the Champagne Pool at the Artist's Palette at Wai-o-tapu Thermal Wonderland in the Wai-o-tapu Scenic Reserve, Rotorua, Bay of Plenty, North Island, New Zealand. Photo of the layers at the edge of the Champagne Lake at Wai-o-tapu Thermal Wonderland, Rotorua.